Looking for a more affordable and practical way to generate heat for your home’s hot water tanks or radiator water heating system? 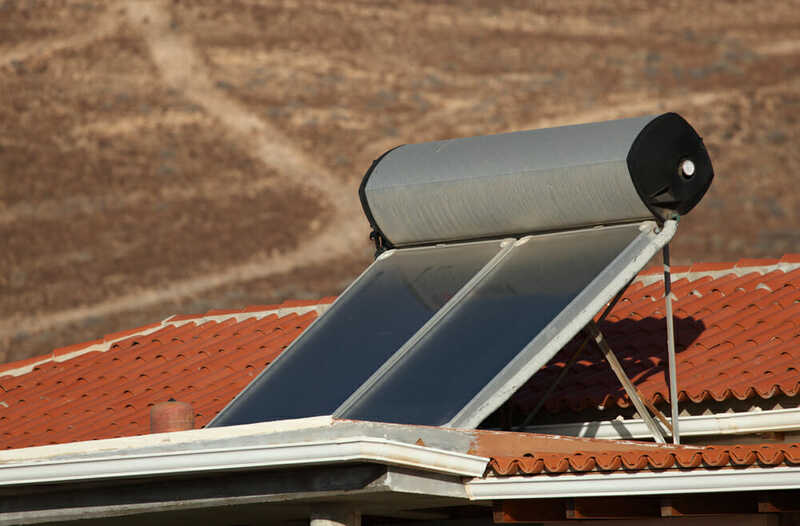 A solar water heating setup is your answer—not only are the setups highly efficient, but they’re nearly free to operate, which can cut down on dreaded utility bills. Since they’re solar powered, they use sunlight-generated warmth to heat water. They rely on two different forms of circulation systems to channel the water and deliver the heat: direct circulation and indirect circulation systems. While each has its own unique benefits, choosing the wrong system can cause problems and reduce operating efficiencies. That’s why it’s crucial to understand each one in order to make the right choice when adding a hot water system to your own home. Of the two types of circulation systems for solar water heaters, direct systems—or active systems—are easier to understand. The system is essentially a closed loop that water flows through. From a tank, the water flows up through solar collectors and back down to that tank once again—and this is the water that you’ll use for bathing or for heating your home. Direct systems work well in locations where water isn’t going to freeze, because plain water is pumped outside and back in again during the process. A direct heating system is pretty simple—a single loop that moves the water from your home to be heated and back to it again. Not only does this reduce the points of failure in your system, making it easier to maintain and keep functioning properly, but the setup also improves the efficiency of the system—whereas an indirect system relies on a heat exchanger to move heat to the usable water, and that heat exchanger causes a loss of heat that you can’t get back. It’s cheaper to set up a direct circulation system because there are fewer moving parts and less plumbing that has to be put in place. That means you’ll spend less on equipment and labor having it installed and ready to go. In very cold climates you simply can’t make use of a direct circulation system because you would run into too many problems. The plain water would freeze up and pipes would likely burst outside when temperatures drop far enough. That’s why you won’t see direct systems in cold climates like Canada or in the northern part of the United States. When you have a direct circulation system in place, it’s quite difficult to use the same system for multiple heating applications. 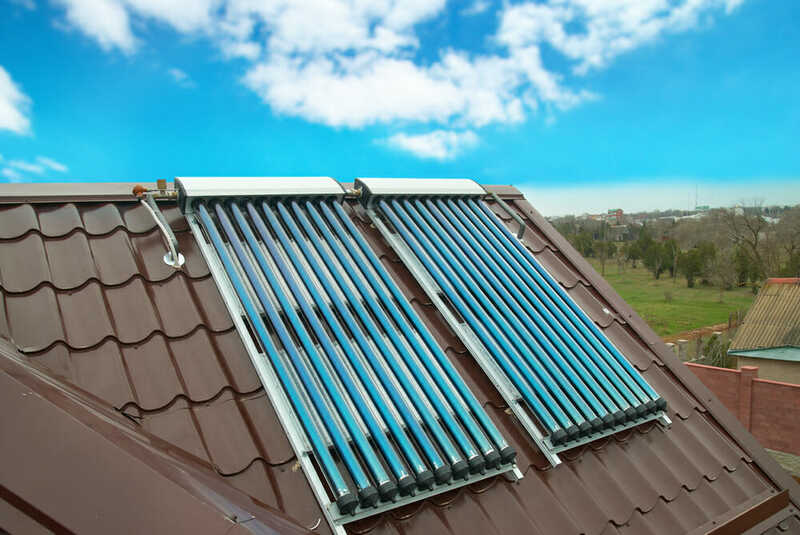 For example, if you wanted to heat both your pool and your home’s hot water tank, your only option would be to set up two different sets of solar collectors, rather than trying to route both of these water sources through the same collectors. Indirect circulation systems are more complex. There is a closed loop between your solar collector array and the water storage tank. In that tank is a liquid—usually water mixed with another material, which drops the freezing point. The liquid is moved through the solar collector array and back to the water tank, where the temperature slowly increases to a very high level. Connected to that water tank is a heat exchanger that transfers heat from the non-freezing liquid over to usable water that’s pumped through it and back to a clean water tank where it waits to be used. So the sun heats up the non-freezing liquid in that loop that runs outside, and the heat from the liquid is transferred over to the actual water that you intend to use. That water sits in a hot water tank and the heat level increases until the water is usable for bathing, cooking, washing clothes, etc. The main benefit of this type of system is that it can be used in very cold climates. The water mixture usually contains propylene glycol to keep it from freezing. The amount of glycol added to the water is increased depending on the lowest temperatures recorded for the area where the installation is taking place. The system can function just fine no matter how cold the air is outside, which means that you can make use of it even if you live in a very cold climate that gets decent sunlight exposure. Another benefit of indirect circulation systems is that they can be attached to multiple heat exchangers and used to heat different lines of water. This is beneficial if your home has multiple hot water tanks, or if you want to heat both your home’s hot water and your pool or spa using the same system. It’s easy to accomplish this with an indirect closed loop that you can run wherever you like, and you’ll be able to switch the heating on and off between different sources with ease. It’s easy to see the downfalls of indirect heating systems. They’re a bit less efficient and they’re more expensiv solar systems as well, but that doesn’t keep them from being a convenient option for the right circumstances. You’ll spend more money to have one of these systems installed in your home because you need more materials and the process is longer and more difficult. Not only that but you have to drain the liquid every few years and replace it with a fresh supply, which will cost you time and money as well. Because of that heat exchanger and a second water loop involved in the system, you’ll experience a drop in efficiency compared to a direct system. There’s more time for heat to be lost from the piping, and there’s a loss of heat during the exchange process between the glycol water and the regular water as well. Each circulation system is ideal for different conditions. If you want to use the same collector array for multiple heating applications, or if you live in a cold climate that drops below freezing regularly, you’re better off with an indirect system. If you live in a moderate climate that rarely freezes, and you only care about one main heating application—or you’re going to offer heat to several locations from the same tank—then a direct heating system is your best bet.